Increase Biblical literacy. Read an entire book of the Bible together. Teach your women how to dig into God's Word. Create community. Through weekly discussion groups your women will learn from one another. "Relying on God to speak through the scripture." "Having a plan I could follow but being able to dig deeper where God led me". "Help in learning how to read the Bible!" "It got me back into God's Word daily." "Learning how to dig deeper in the Word." Everything your women will need to learn how to READ the Bible, resource list, definitions, explanations, worksheets, and more. Including group management strategies, prayers for your group, first day tips, timing the lesson, and more. Sample schedules, the first day, how to recruit discussion group facilitators, dividing women in to groups, and more. 10 lessons & activiites, printable worksheets, assesment materials, Bible study information cards, and more. 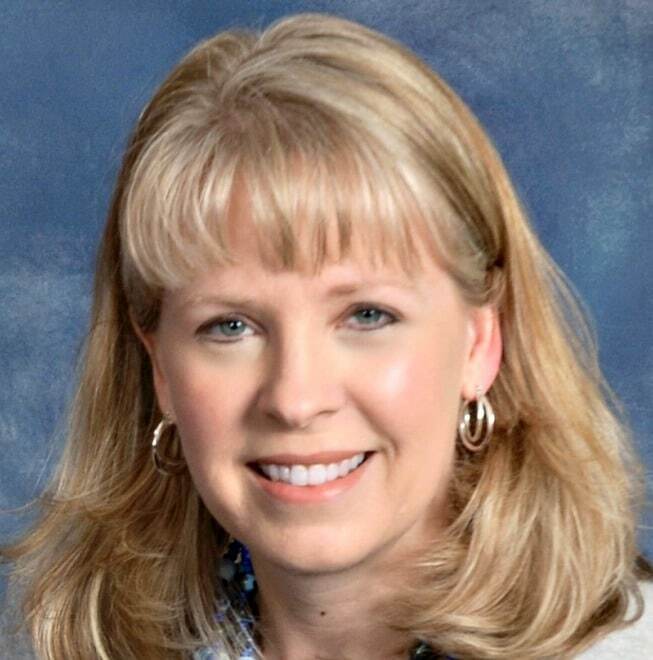 Face-to-face with the realization that she was spending more time in her weekly Bible study reading the Bible study "book" rather than the Bible, Cyndee responded to God's prompting to learn how to study His Word without a trusted Bible study leader or Pastor. The result - the READ Bible study method! 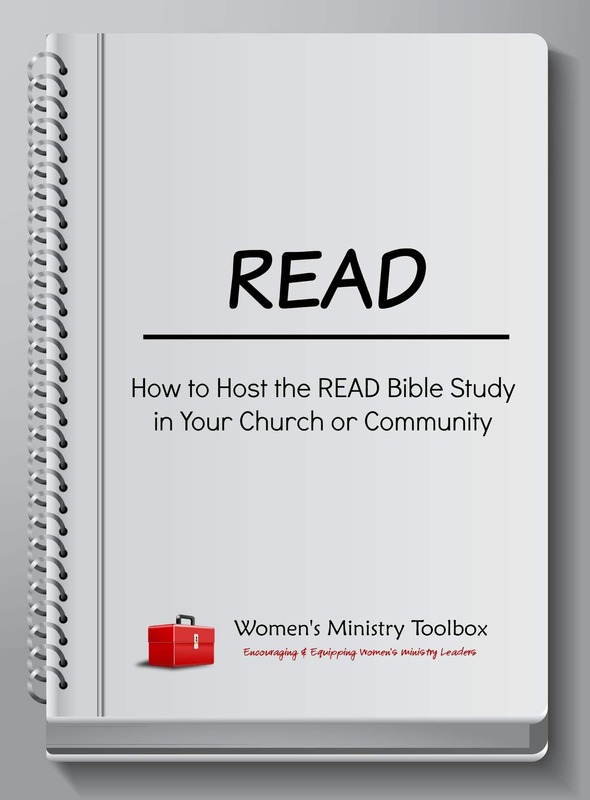 ​The women's ministry team at her church used the READ Bible study method for the next year with great success. 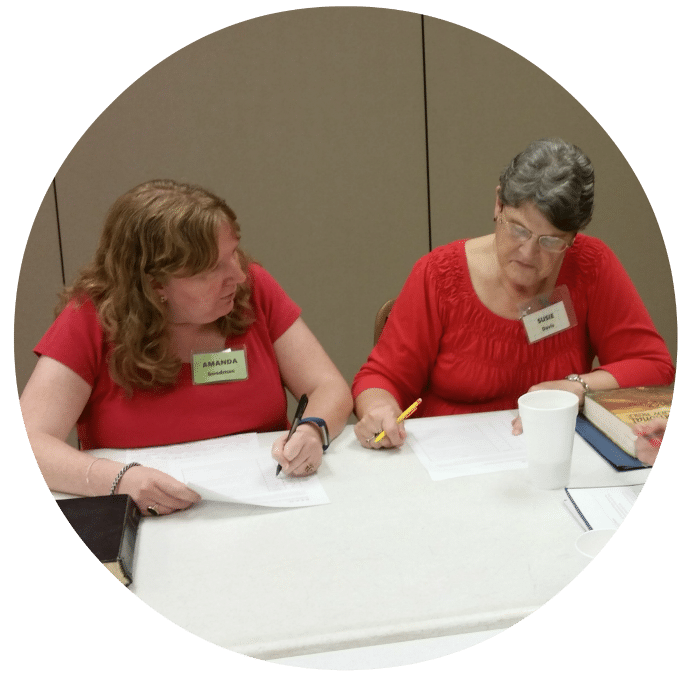 After seeing the women in her own church in North Carolina get excited about reading the Bible on their own, Cyndee set out to create a guide for any church to use to teach women how to READ the Bible. “I can take it and apply it to any book of the Bible." "I had to think and pray so I could know what God had for me not what someone else thought." "I liked that I was in charge of the information so to speak. I was able to seek out reputable sources and pull from different areas instead of listening to one person's interpretation of what the passage meant." "It made me get more involved in the Bible study." "Absolutely love it. It gives me steps for more clear understanding. It had become a "rabbit hole" as I dig deeper and I love it. I'm learning so much and seeing things so differently." "Love the mix of young and old - learning from others." 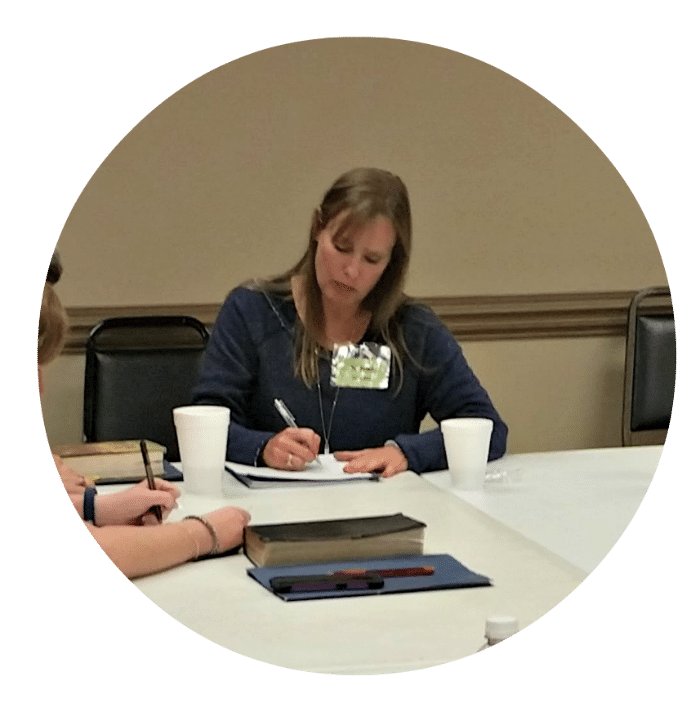 "We had a wonderful discussion group; everyone participated and many new thoughts on different scriptures was revealed." 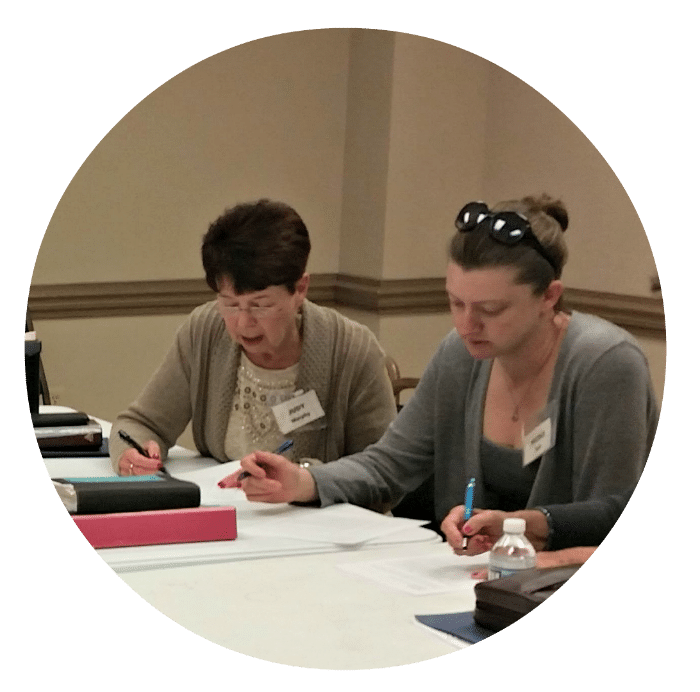 "It was great to hear from other ladies - so many had dug into commentaries and had great info to share." "I loved our group! I loved the various ages and stages in life. The Bible speaks so much about the wisdom of age, and I truly benefitted from the ladies and their experience." "Great! I enjoyed the women in my group, learning more about them, and studying the Bible together." How many copies can I make? You can make unlimited copies for as many groups as needed. If you decide to use the READ Bible study for Groups with another group, two years down the road, you do NOT need to re-purchase the study. How do we decide which book of the Bible to study? I recommend starting with a shorter book of the Bible for the quick win. I address this question more completely in the How to Host the READ Bible Study for Your Church or Community ebook. What is the format of the READ bundle? These books are ebooks – you will not receive a physical copy. Four PDF files will be sent via email. Please save a copy of each one on your own device. What size group(s) do you suggest for the READ Bible study? The READ Groups format is best suited for groups of 6 or larger. I recommend that you divide larger groups into smaller discussion groups of about 10-12 members. You could use this study one-on-one for mentoring or discipleship, however you may want to purchase just the READ Bible Study Workbook here instead. How long should our Bible study meetings last? You will need at least an hour for your group to have enough time to work through all of the discussion questions. The books include a sample schedule for 1 hour, 1 1 /2 hour, and 2 hour Bible studies. How much time does it take to complete the homework? Most of our women were able to easily complete the homework in about 15-20 minutes per day. Our women really liked being able to choose how and to what depth they could complete their homework. Some chose to knock it out in one sitting, while a few spent several days digging into different commentaries. What other materials are needed for the READ Bible study? Participants will need just 4 things: a Bible, a copy of the READ Workbook, access to a commentary, and access to another Bible translation. Free online resources for commentaries and translations are listed in the READ Workbook.